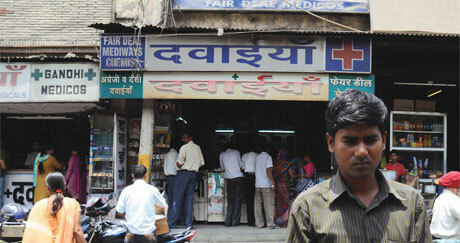 The Planning Commission of India has set up a working group to look into the drug regulatory mechanism in the country. One of the tasks the panel has been entrusted is to devise a strategy to weed out irrational drugs from the market. Most of these drugs are fixed dose combination drugs (FDCs), freely prescribed by doctors and often sold over the counter, endangering public health. The working group is likely to submit its report by August 31. An FDC combines two or more active ingredients in a pre-determined ratio, and an irrational FDC is one which has no proven efficacy over single compound drugs administered separately and can be harmful. FDCs are among the most sold drugs in the country. 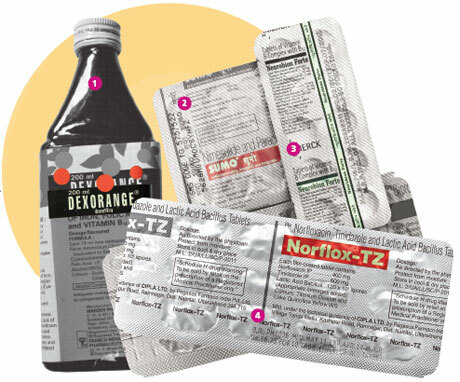 On a regular day, the Apollo pharmacy in Kalkaji area of south Delhi sells three to four strips of Norflox TZ. The drug is commonly prescribed for diarrhoea. Norflox TZ, manufactured by Cipla Ltd, a Mumbai-based pharmaceutical company, is a combination of two antibiotics— norfloxacin, used in bacterial infections, and tinidazole, used in amoebic dysentery. The combination is called irrational because if a person is suffering from amoebic dysentery and is prescribed the drug, he or she would end up consuming norfloxacin unnecessarily. A 2007 study by A Chakrabarti, professor at the department of pharmacology at the Sikkim Manipal Institute of Medical Sciences, found 59 per cent prescriptions for diarrhoea were FDCs. These FDCs are harmful. For instance, a patient taking Norflox may develop resistance to norfloxacin and not respond to it when he or she needs to be treated with it, says Urmila Thatte, head of the department of clinical pharmacology at KEM Hospital in Mumbai. Cipla refused to comment. Such drugs pose a risk to the whole community because drug resistant germs are transmitted from one person to another. Whether the Planning Commission panel can check the sale of FDCs is something that remains to be seen. “We are trying to develop an effective mechanism to remove unnecessary drug combinations from the market because earlier attempts of the government have failed,” says Gopal Dabade, member of the Planning Commission panel. He works with the Drug Action Forum, a non-profit based in Karnataka. Atenolol for heart disease combined with anti-anxiety drug alprazolam. It is prescribed for hypertension, presuming all patients of hypertension suffer from anxiety. Alprazolam is addictive. Three years ago, the apex drug regulatory body of India, the Drugs Controller General of India (DCGI), had appointed an expert panel to scrutinise 294 combination drugs, marketed in the country without its approval. But even after many discussions covering 200 combination drugs, there is no clarity on their status. “Not all combination drugs in the list are irrational,” says Rajendra K Sanghavi, member of the expert panel and also member of the pharma body, Indian Drug Manufacturer’s Association. He adds the panel found some drug combinations absurd and that about 150 drugs need further examination. But in the absence of any official communication from DCGI, these 294 drugs continue to be sold in the market; each under five to seven brand names. The number of irrational drug combinations in the market is much higher than the 294 under scrutiny, and includes drugs approved by DCGI, say health experts. An estimated 1,000 to 1,500 irrational FDCs are sold in India. The World Health Organization recommends only 25 FDCs as essential. Most of the irrational drugs have formulations not found in any pharmacology text book or in the list of approved drugs of any developed country, says Dabade. Then why do doctors prescribe these drugs? “Combination drugs are generally prescribed to improve compliance in patients who may be reluctant to take more than one or two drugs, says Bharat Bhushan Lal, a physician at the public health centre in Pilakhua town in Ghaziabad. Doctors prefer giving broad spectrum medicines because it is difficult for patients to undergo tests to find the exact problem. Merck, for instance, manufacturer of frequently prescribed FDC, Neurobion Forte, claims its product improves compliance in patients suffering peripheral nerve disorder caused by B complex deficiency. Health experts, however, say Neurobion is an irrational drug (see graphic on right). Another reason for people using FDCs is the prevalence of self-medication. People buy the drugs on the recommendation of chemists, presuming at least one of the compounds in the combination would give relief. “A drug taken without doctor’s prescription can lead to complications. In case a patient suffers side-effects, it would be difficult to tell which ingredient caused the adverse reaction,” says S Srinivasan, managing trustee of Low Cost Standard Therapeutics (LOCOST), which produces low cost generic drugs in Vadodara. There are other reasons FDCs should be avoided. The interaction of ingredients used in FDCs are not well studied. In a combination, one drug can hamper the absorption of the other and even aggravate or suppress the effect of the other. “That is why even when three to four single ingredient drugs are prescribed for a patient, doctors should ensure that there is sufficient interval between consumption of the drugs,” says Anurag Bhargava, who is studying epidemiology at the Mc Gill University in Canada. For example, if an antibiotic like ciprofloxacin is given with theophylline prescribed for asthma, the former may aggravate theophylline’s side- effects like increase in blood pressure. Irrational FDCs can also lead to patients getting over- or under-dosed. For instance, Tormoxin Plus produced by pharma company Torrent—combination of amoxicillin and cloxacillin—is generally prescribed for skin infections caused by staphylococcus bacteria. Doctors say cloxacillin of 500mg is the right dosage for the infection. But since the drug is generally available in combination with other compounds like amoxicillin, meant to fight another bacteria, streptococcus, the patient gets under-dosed. The combination contains only 250mg of cloxacillin. So the patient ends up consuming only half the required dosage, says Srinivasan. Besides, both drugs belong to the same class and act at the same site, using the same mechanism, he adds. Why are such drugs manufactured in the first place? The answer is simple: profit. Combination drugs help pharma companies circumvent the Drug Price Control Order of Government which puts a ceiling on the prices of 74 basic drugs. By combining one or two more drugs with a price controlled drug, manufacturers bring the latter out of price control. Take the example of Ciplox TZ—a combination of ciprofloxacin and tinidazole. Ciprofloxacin has a ceiling price of Rs 24 for a packet of 10 tablets. But tinidazole is not covered by price control and sold at Rs 51 for 10 tablets. The combination is sold at Rs 105, which is more than four times the ceiling price of ciprofloxacin. Another highly priced irrational drug is Dexorange syrup, manufactured by Fanco-Indian. It is prescribed for anaemia. A simple remedy for treating the condition is ferrous sulphate and folic acid tablets, sold at Rs 1.10 for 10 tablets (LOCOST price). But doctors generally prescribe Dexorange which is a combination of ferric ammonium citrate, vitamin B12, folic acid and alcohol. Bhargava says this is a less effective and costly combination because ferric salt is less efficiently absorbed by the body than ferrous sulphate in a syrup formulation. He adds there is absolutely no need for alcohol in iron deficiency. A month’s prescription of ferrous sulphate and folic acid tablets would cost Rs 6-8; to get the same amount of iron for therapeutic use, a person would have to spend Rs 650- Rs 970 on Dexorange bottles, each costing Rs 72.45. The annual sale of Dexorange, according to market research agency ORG Nielsen, is Rs 77 crore. Thatte says pharma companies do not want to invest in new drugs because it involves a lot of expenditure. “They prefer making these concoctions, generate prescriptions in the market and earn profits,” says Srinivasan of LOCOST. According to the Drugs and Cosmetics Act of 1940, when two or more drugs are combined for the first time, the product is treated as a new drug and like every new formulation, manufacturers have to generate efficacy and safety data before seeking approval from DCGI. Once a new formulation gets licence, state drug controllers take over and monitor pharma manufacturing facilities. But the existence of 294 drugs that do not have DCGI approval proves there are loopholes in the regulatory system. “They made it to the market because the state drug controllers cleared them even when they do not have the legal powers to do so,” says Kaushik Desai, divisional head of the professional body of pharmacists, the Indian Pharmaceutical Association. It was only in 2007, when DCGI released the list of 294 drugs that clearance from the Centre was made mandatory for all FDCs. The standard guidelines for industry on combination drugs was issued as recently as last year. According to public health experts, approval of a drug combination has to be supported by randomised trials which prove that a combination drug administered to a group of patients is more efficacious than single drug formulation administered to another group with the same medical condition. “Had DCGI looked into this data before giving approvals, no irrational drug would have reached the market,” says Bhargava. For instance, an irrational combination of antibiotics cefixime and cloxacillin, prescribed for the treatment of patients with respiratory tract infections, was approved by DCGI last year even while it was examining the rationality of 294 drugs. Cloxacillin is prescribed for skin infection. “The combination is irrational because the co-existence of respiratory tract infections and skin infections is improbable,” says Bhargava. Drugs Controller General of India, Surendra Singh, did not respond despite repeated attempts to contact him. To prevent approval of such irrational drugs, health experts demand changes in the drug approval policy. “The Central Drugs Standard Control Organization should make information related to every drug, single or combination, public. Information about their use, side-effects, clarification for approval with all supporting data should be put in the public domain,” says Srinivasan. Activists also demand the strengthening of the ailing drug regulatory system. “Without it, the objective of ensuring supply of quality and safe medicines would continue to elude us,” says Anant Phadke, senior advisor with SATHI, a non-profit in Pune. Also pls suggest a better solution having less or no side effect.